We currently have a total of 5 stocks which we will be watching for a traditional breakout to new highs. 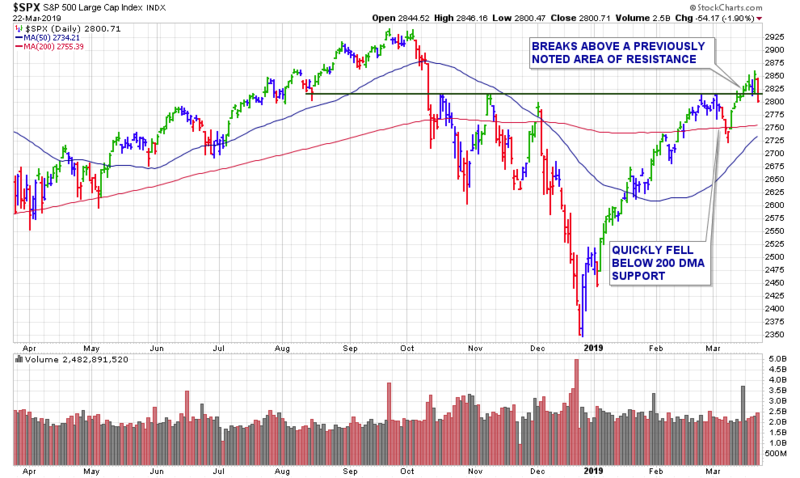 (see below) However, let’s keep in mind that with the broader market’s current condition – now is not the best time to be buying new breakouts. Now is the time to focus your attention on previous breakouts which are of course your current holdings. Breaks of support in individual issues are sell signals. The last week of March will be a very busy one with regard to economic releases, with key reports coming out from several sectors. This past week we had 5 breakouts from our weekly watch list of 6 stocks. This is our most recent breakout as shares cleared their TRIGGER PRICE of $18.70 mid-session, Thursday. The stock continued trading above there until about mid-day Friday when it struggled along with the broader market (Dow -400). This breakout closed that day at the session lows, just under the TRIGGER PRICE, as volume was lighter the average. Shares now are basically at our 1st SUPPORT of the previous lows as of Friday’s close. We also have near-coinciding support of the 50-day moving average, currently at $17.94. A break below there would be a serious technical violation and a SELL signal. This leader had been featured several times over the past months as it was first published in our special report on Oct., 14th – “High-Ranked Pullbacks to Support”. On Jan., 20th it was added to our TrendLine SetUps WatchList where it broke out the following day, before getting in a solid uptrend to new all-time highs. Shares then consolidated there, above $70, and built another base to buy off of. 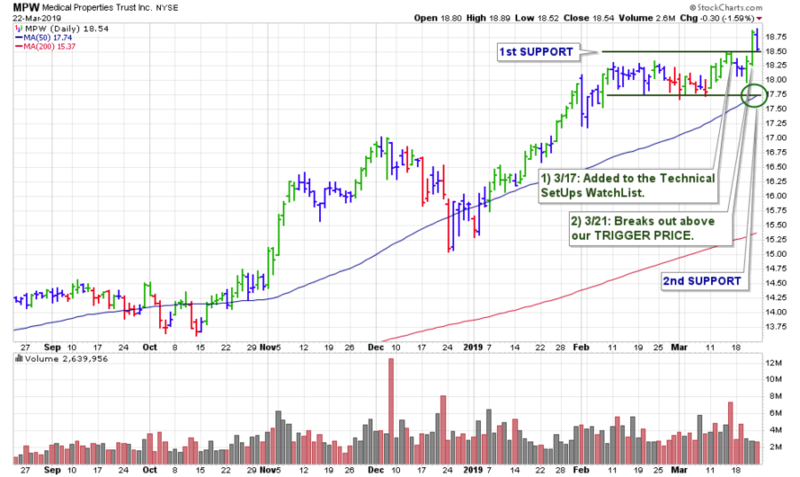 This stock was then added to the Technical SetUps WatchList, where it broke out on Wednesday. However, it only traded above the TRIGGER PRICE of $72.28 very briefly that day (<5 mins). This breakout (like many this week) did close its breakout day well off of the session highs. Shares did manage to trade back above their TRIGGER PRICE Thursday afternoon, and again briefly mid-day Friday. SBUX is holding up relatively well, and it is now trading in a nascent uptrend staring with the lows on 3/8. 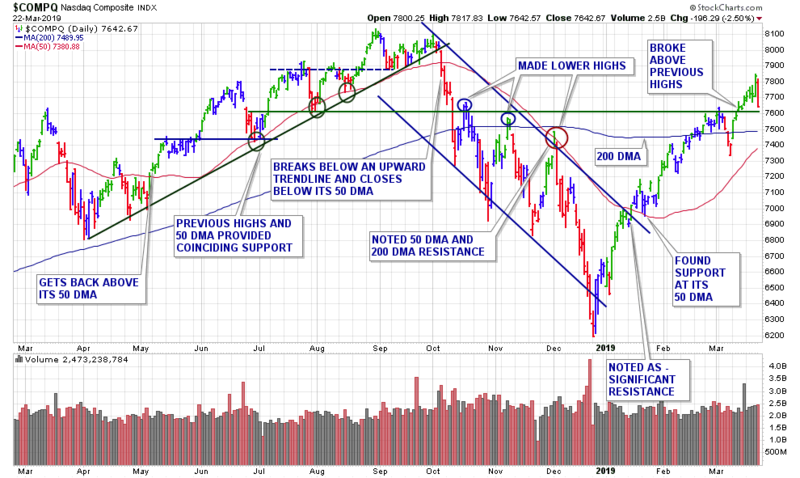 Considering our 1st SUPPORT is ~4% below Friday’s close, any above average volume declines with a break below that upward trendline would be a cause for some concern, especially if the broader market can not negate the recent bearish action. This breakout only briefly traded above its TRIGGER PRICE of $68.27 near the open on Tuesday’s trading. Then ths stock went on to negatively reverse the breakout day as it closed with a loss. There may be some initial areas of support at most recent lows, and the coinciding round-$67. At the least, this would be a key area to watch, on the downside. Interested investors could still add this stock to their watch list, with the current TRIGGER PRICE of $68.27. With that being said, I am putting our official 1st SUPPORT at the 50-day moving average, currently at $66.37. Barring a new breakout, this stock looks likely to test there eventually. This leader nearly broke out on Monday as price progress that day was rather ideal with shares basically making a steady climb, then closing the breakout day near the highs, yet missed making our TRIGGER PRICE by <.20 cents. The stock then did officially trade above its posted TRIGGER PRICE of $72.32 very briefly on Tuesday. Like several others, shares closed the breakout day lower. The stock managed to climb higher throughout the week until hitting its peak Friday morning, before pulling back and closing the week just slightly above the TRIGGER PRICE. 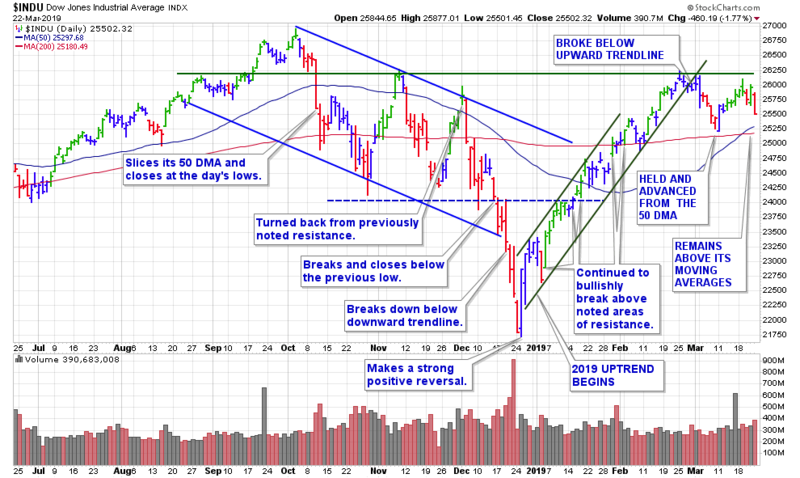 Going forward, a break below the stock’s upward trendline would be the first concern. There is some support near $71, then below there is the 50-day moving average, currently at $67.93, if things were to get that ugly. This was one of the few, if not the only breakout we’ve had recently with any real increase in volume. Shares gapped open on Monday morning and traded above their TRIGGER PRICE of $119.35 while volume was +62% above normal. The following day shares did pull back slightly, yet volume was half the regular rate, and this action was not too much of a concern. Shares continued to modestly drift lower through mid-week, until Friday when there was a (non-news) gap down as volume remained below average. An eclipse of Friday’s low would be a serious concern as there is no real support until the 50-day moving average, which is currently at $112.78.